Blissful is how we would describe Dave & Jess. These two are so incredibly in love and devoted to one another's happiness. 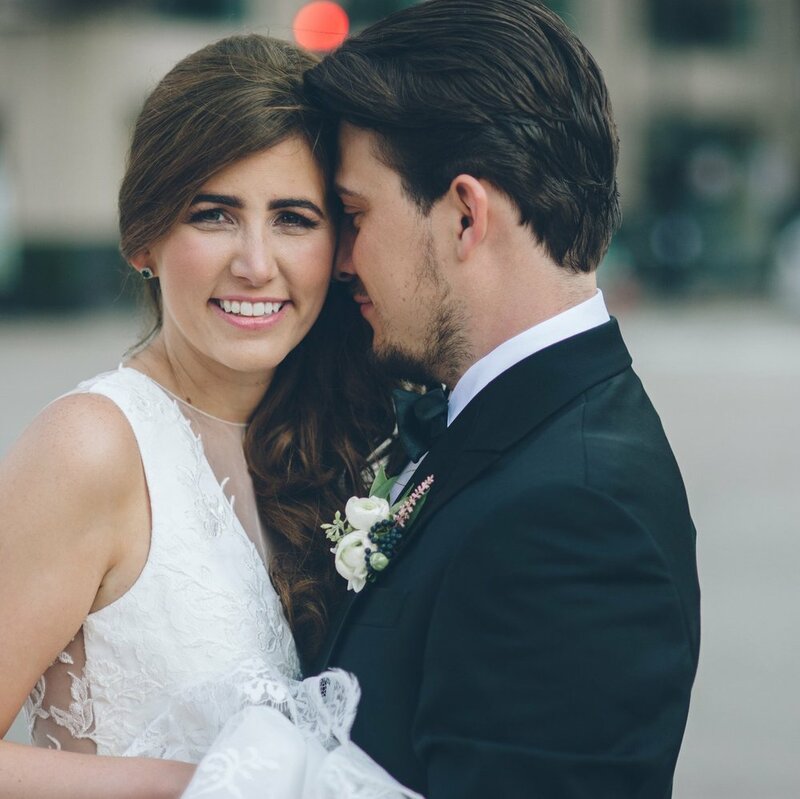 They had a unique vision for the wedding day that was 100% personalized to them and the love they share. The activities that they enjoy together were woven into the fabric of the day and you could feel their personalities in every element. Not a detail was forgotten. These two lovebirds brought the outside IN with their natural decor. It was foliage galore! From their centerpieces, and place setting to the ceiling treatment, you could feel the beauty of nature's bounty in each detail. Jess' bouquet was a stunning mix of greenery and soft white flowers that matched the ceremony arbor and centerpieces. We can't forget to mention the food + beverage. This was a HUGE part of the day. Dave and Jess wanted to serve all of their favorites with friends and family! During the cocktail hour, while guests played games and listened to live music play, they were treated to beer flights and passed appetizers. During the reception, they enjoyed a two-course sit-down meal followed by a delicious spread of desserts- traditional pie, tortes, cheesecake, whoopie pies and cake. As the night was winding down, the campfire began blazing. After laughter and happy tears, a night better than they could have ever imagined, the newlyweds were sent off by sparklers. This video of the day by eMotion is incredible. Get the tissues ready- copious amounts of happy tears shall ensue!